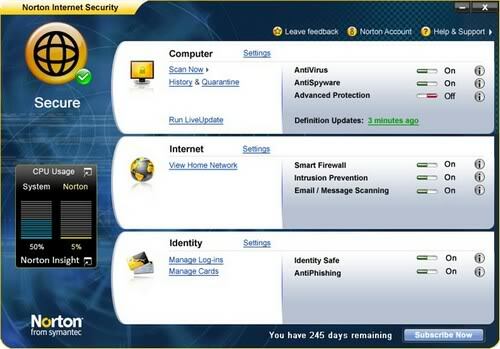 Norton Internet Security 2010 will be the fastest and lightest security suite Symantec has ever delivered. It guards your PC, network, online activities and your identity with innovative, intelligent detection technologies optimized to combat today’s aggressive, rapid-fire attacks. Improved Norton Safe Web technology blocks Internet threats before they can infect your PC.